The economy is struggling and anyone in business is doing their best to get customers to patronize them. This also holds true for landlords. Many people are finding it hard to rent apartments because the monthly fees are too high. Many take on roommates or move in with family members. 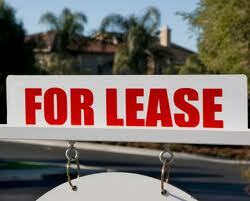 Landlords are aware of this and often offer incentives to get tenants. One of the things that landlords should not do, however, is rent to the first person who comes off the street although their records may look clear. By records, we are talking about job history and salary. They look good on paper but are they really good risks? Consumer-initiated screening reports are on the rise. Most prospects, undoubtedly, will expect to hear they will be screened and in a show of good faith, provide their own screening reports. But be wary because like anything else, it could be fraudulent.For this purpose you need to initiate tenant screening. You will want to ensure your tenants are not liabilities and are people who will take care of your property in your absence. What good will it do you to receive the rent on time and find out later that they have been convicted of a felony and are still doing illegal activity and worst yet, in your rental home? Tenant screening is the most viable option aside from being at the prospect’s side day and night.All landlords should go through tenant screening. During the initial meeting get as much information as you can about their job and ability to pay their rent. It is also useful to show them a copy of the lease and ask them if they have any questions. A well-placed ad will attract potential tenants so there is no need to worry that no one will inquire about your property. The initial meeting is also the time to discuss deposits. While you are at it, be frank and let them know, if they are interested in the property a nominal fee will be required to conduct a criminal background and credit check. Right away this will eliminate more prospects. Eventually you will find the right tenant and will be happy that you were patient enough to go through the proper channels for finding them.